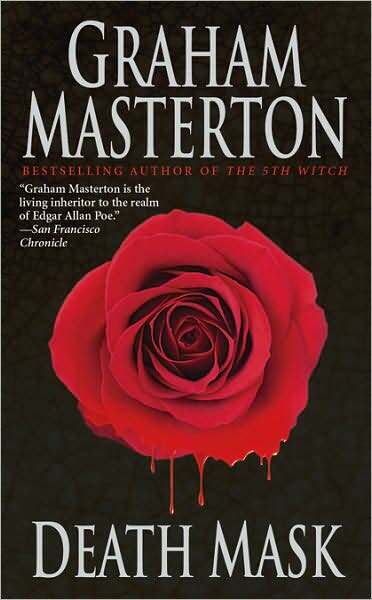 Death Mask by prolific horror novelist Graham Masterton is a blood-bath thriller about an ugly, evil killer who appears out of thin air to bludgeon people, usually in elevators of all places. What makes the killer uncharacteristically scary is that he's untraceable and non-existent when the police are looking for him. He's nearly a ghost. Meanwhile at her home, a young artist named Molly discovers she can paint pictures that come to life. Relying on help from her tarot-card reading mother-in-law Sissy, her husband Trevor, and a couple of fearless detectives, everyone puts their heads together to stop the crazy madman from striking over and over again.